It’s been a while since I’ve had the chance to ask a guest ‘5 questions,’ a recurring feature of this blog. Our May issue is still a few days from being published…..too soon for guests! And so I thought it was time to give readers a taste of our ‘Published Online First’ feature. Once a manuscript has passed CJSM’s rigorous peer review process, ‘made the grade’ and been accepted, it is still a few months away from being published in print. Like many journals, we have a healthy backlog of manuscripts which have been accepted but await publication. But it’s not too soon for the authors to break out the champagne, because the article can be fully formatted and made available electronically prior to print–fully searchable in PubMed, prime time for the C.V.
One such study came to us from researchers in the Department of Movement Science at the University of Wuppertal in Germany: Effects of Static Stretching and Playing Soccer on Knee Laxity. This is a randomized clinical trial looking at the effects of static stretching and playing soccer on anterior tibial translation. 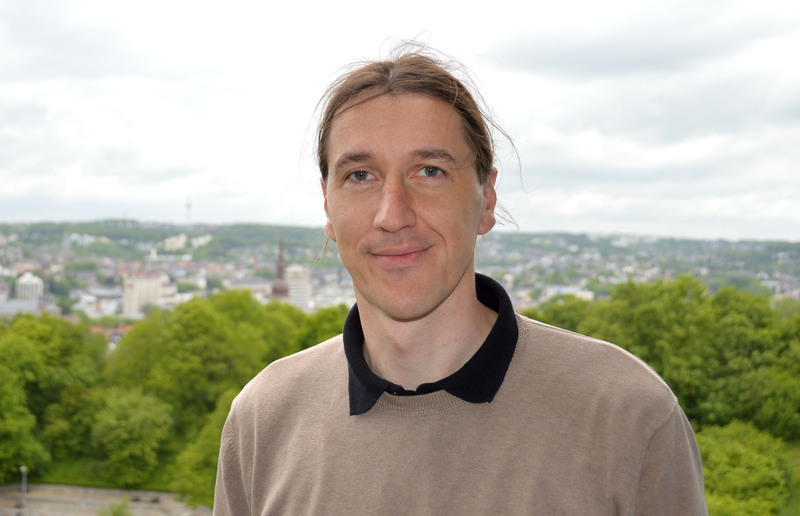 I emailed the lead author, Christian Baumgart, and he was more than happy to join us on funf fragen…er, five questions! Danke Christian! I hope to meet you some day in Germany. 1) CJSM: What would you say was the most notable finding in your study? CB: Previous studies have shown that different exercises lead to an increase in the sagittal knee laxity. The surprising finding of our study was that static stretching also increases the sagittal knee laxity and even to a greater extent than playing soccer. From a biomechanical point of view this fact seems to be logical, because in healthy athletes the joint mobility during stretching is limited primarily by ligaments and capsules. Subsequently, these connective tissues were short-termed plastic deformed. It is unclear whether the connective tissues adapts structurally, if the external load is applied long-term.